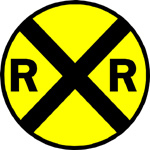 Traditionally, sleepers, (railroad crossties or railroad ties) where wooden. They can be made of softwood or hard wood. 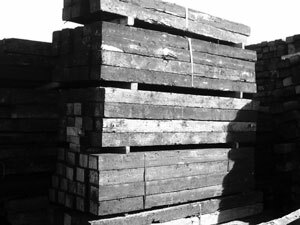 Wood Crossties or sleepers are usually treated with preservatives and can last up to 25 years. 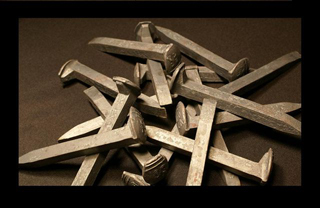 Easy to cut and drill and plentiful, readily available, and economically viable. However, today, they are becoming more expensive with other materials becoming available. Recently concrete, steel and plastic composites have been successfully entered into the market and are achieving a growing market share. 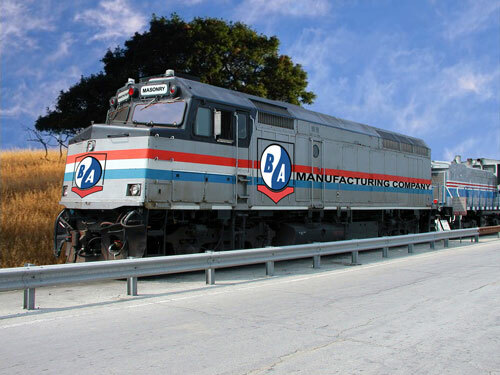 Approximately 3000 ties are used per mile of railroad track. Ties/sleepers are set much closer together in the USA. iron/steel chairs used in Europe. B & A’s carbide RAZZOR Bits are specifically designed for drilling holes in any plastic or composite type of railway cross ties. 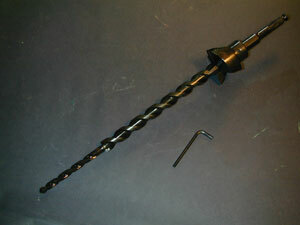 The single flute works in a screw-like fashion, feeding the carbide tip into the material while maximizing chip removal. The unique carbide relief prevents the plastic from melting or burning, while open fluting prevents chip clogging. The high quality carbide tip, has a special design that will drill into the hardest of plastic composites. Simply put our RAZZOR® Bits are designed for drilling. Customizable to meet the requirements of your tooling and equipment. 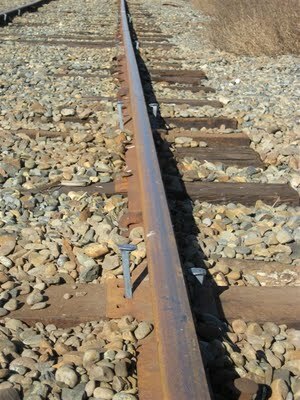 Ideal for drilling railroad cross ties, landscape timbers, marine piles, and thick salt treated posts. The unique point geometry and hollow flute design is self feeding without the aid of a lead screw. 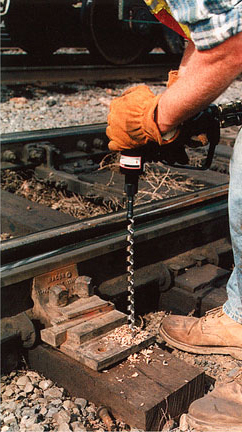 The RAILROAD TIE BORE BIT can be provided with various shank configurations, the most common is the 1/2" Round Shank with 0, 1 or 3 flats. Made from high quality American tool steel. 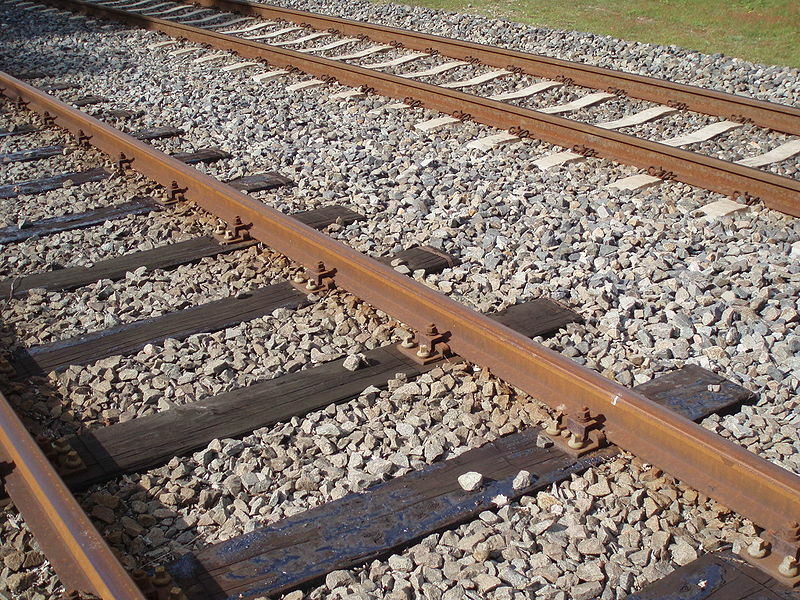 B & A’s Railroad Tie Bits feature variable geometries that allow the B & A Railroad Tie Bit to be fully customized at the factory to meet the wide range and variety of applications, materials, and tools required on today’s demanding railroad job sites. B&A's Eliminator ® features a carbide tipped cutter and a hardened steel scribe shoulder. 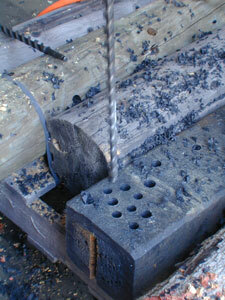 This unique design allows the Eliminator® to bore clean smooth holes. The Eliminator® is designed to be completely refurbished thus greatly reducing the already low cost per hole performance of our carbide tipped wood augers. Designed to be used with electric, air, hydraulic, or gasoline powered drill motors and impact wrenches. 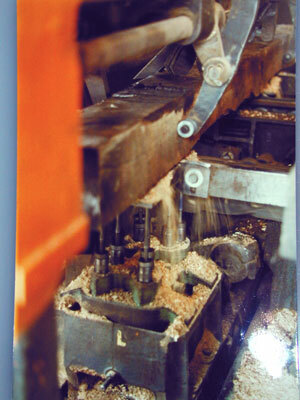 COUNTER BORE BITS are used to create a counter bore in the crossing pad for a Torx® head type bolt. 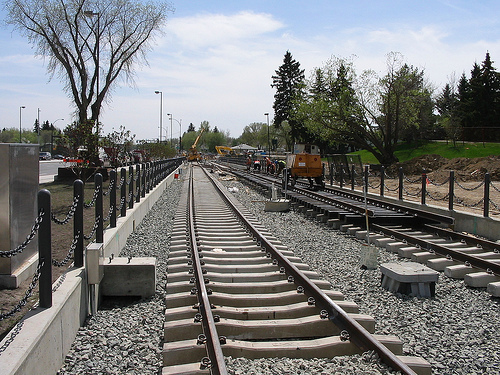 The bolt must be installed below the surface grade of the crossing pad to prevent damage to vehicle tires. In colder climates where snow removal is necessary, this countersinking process prevents snowplow blades from shearing off the bolt head. 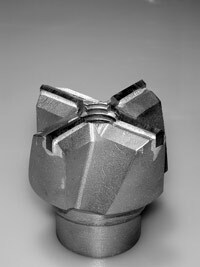 COUNTER BORE BITS are used to create a counter bore in the crossing pad for a Torx® head type bolt or bridge. 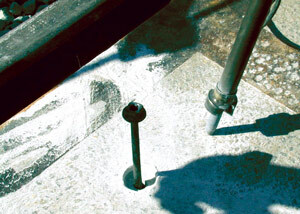 The bolt must be installed below the surface grade of the crossing pad to prevent damage to vehicle tires. In colder climates where snow removal is necessary, this countersinking process prevents snowplow blades from shearing off the bolt head. 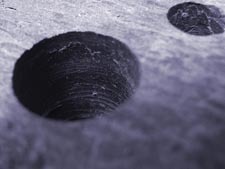 B&A's Railroad Step Drill Bits is three drill bits in one, a pilot drill bit to start the hole, a larger body with carbide cutters opens the hole to proper size for anchoring and a counter bore to produce a countersink hole for nut and a washer.